This book randomly fell into my hands and I decided to give it a shot. As a pantheistic witch - in other words a bitter atheist and a sociopath settled deep in a forest - I'd never think much of a self-proclaimed medium. Heck, I wouldn't think much of a proclaimed-by-whoever medium, just because I don't believe in any kind of afterlife. I had a tiny bit of a laugh during the first couple of chapters, the writing style seemed a little naive to me and the supposed psychic skills and events - a little too far-fetched in their descriptions. What kept me going, though, is a peculiar kind of warmth and fulfillment, present in the whole book. This woman must have had a truly giant heart, regardless if she did it mostly for money or not - especially that I don't see anything wrong in using one's talent and hobby to earn for a living. Actually I find it the only legit way to live a full life and I suppose that's why I kind of enjoyed this read - despite my cynical approach, I'm always eager to read stories of people who managed to turn their passion into their profession. Damn me if it's not inspiring, even in a field I have quite a skeptical view of... so before I dwell on that and give an unnecessary lecture here about how mediumism could work according to my order of things, I'll finish and just encourage people to give this book a chance. It's not long, reads fast and, despite arousing quite frequent chuckles or head shakes, leaves you feeling somehow a little better about pursuing your own loony path. 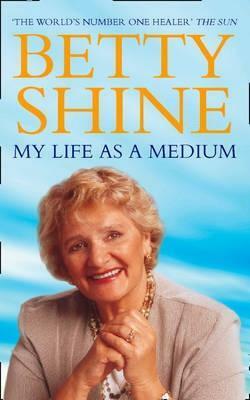 Quite interesting, particularly in the first part of the book where she talks about how her psychic gifts developed.